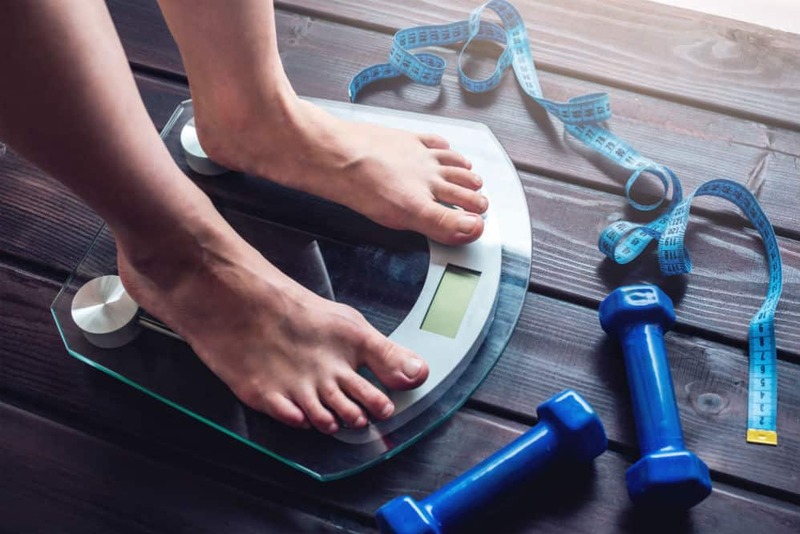 Whether you want to put on or lose some weight or even increase your muscle mass, a weighing scale is among the tools you will need in your fitness journey. And for you to keep track of your progress, you sure want to have a scale that is accurate and reliable. Perhaps you have even invested in the latest digital scale, but then you wonder, why do digital scales give different readings? What should you look out for and consider? Let’s go ahead and find out! What Is a Digital Scale? A digital weighing scale is an electronic machine used to determine a variety of bodily measurements like your BMI, body fat and muscle, lean, and water mass. In the past, analog scales were widely used to check and monitor weight, but along with technology advancements, a lot of people have switched to digital scales since these can readily give you the measurements you need plus you get to enjoy its other functions such as Bluetooth connectivity and use of free fitness apps. However, as good as all these may seem, one significant argument about digital scales is its accuracy. Why Do Digital Scales Give Different Readings? Again, with all the fancy features it may come with, a digital scale is expected to do one thing, and that is to provide you with accurate measurements. And like any other device or instrument, you should also treat your digital weighing scale with care to maintain it in good condition and be able to provide you accurate results. The most common reason for digital malfunction is the unstable power source or low battery. Your device will give you inaccurate readings and might be faulty when the power source or battery is low. There can be fluctuations in the readings too if the power adapters are defective. Make sure to always troubleshoot your device by checking on the batteries at the first sign of an issue. When weighing yourself on the digital scale, you have to make sure that you are centered on its surface and well-balanced. Standing on the edge might not only give you inaccurate measurements but could also cause accidents or could lead to device malfunction. Keep your feet parallel with each other to get a right balance. Like any other electronic device, excessive exposure to moisture and water can adversely affect the interior components of your digital scale. If you have been keeping your scale in your bathroom, then make sure to store it where it does not get exposed to too much moisture. If you plan to weigh yourself after a shower, then it is advised to wipe your feet dry before stepping onto the scale’s surface, so it does not get wet. A digital scale is composed of sensitive components, and any trauma on its surface can lead to malfunction. If you have kids who use the scale, then you have to make sure that they do not jump on its surface or play with it. Keep in mind to store it appropriately after each use so that no one can do it any harm unlike when it’s lying out in the open. Digital scales are known to work best at room temperature and are supposed to be stored in warm environments. Extreme cold temperature can cause moisture to form inside the device which might eventually cause it to malfunction. Although, some digital scales are designed to work best at lower temperatures; thus you also have to be sure of the type of scale you have. This is one sure way of ruining your weighing scale. You have to make sure you are aware of your digital scale’s maximum capacity to prevent overloading. Do not also attempt to have more than one person step on your scale at once to avoid putting on weight beyond the capacity of your device. Microwaves, cellular phones, and other electronic devices can cause electromagnetic disturbance to your weighing scale due to the strong fields that could affect the delicate components housed in your scale. Static electricity can also create a similar effect, so you have to keep other devices at a reasonable distance to prevent disturbances. Your digital scale should be placed on a stable, solid and flat surface each time you use it to get accurate readings. Uneven and unstable surfaces can also trigger balancing issues which may cause accidents that may also lead to device malfunction. Thus, rubber flooring, carpet, uneven tiles, and other soft surfaces must be avoided. We hope that the things discussed above have enlightened you on why do digital scales give different readings. Additionally, we also have some tips on how to counter this. If you have checked the factors above, and you are sure none of them is the problem, then try these to avoid inconsistencies in the readings. Furthermore, stepping on the scale three or four times is recommended until you see the same reading twice to get a good reference. This is especially important if you do not store your scale on a flat surface because the sensors and the delicate components inside your device usually lose their calibration over time and stepping on it a couple of times will allow it to re-calibrate. Like any other electronic device, your digital scale should be handled with proper care from usage up to storage to maintain it in good condition and prevent inaccurate readings. It would also be helpful to monitor the device consistently and know the troubleshooting steps so that you can respond to the first sign of any performance issue.